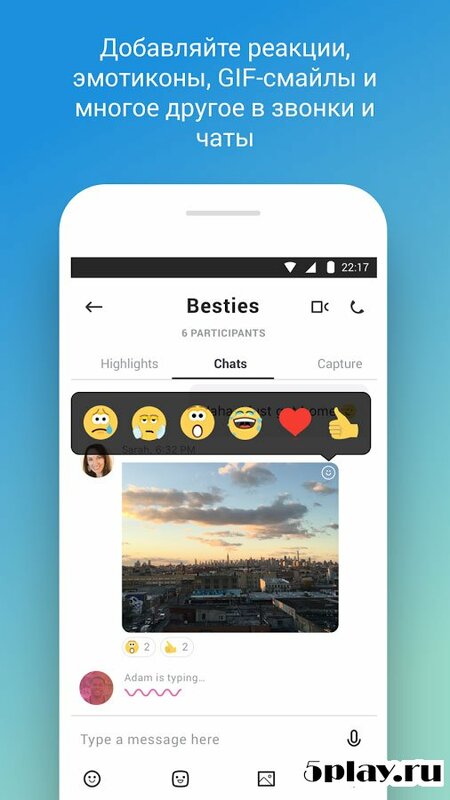 Skype for Android - software to make audio and video calls and instant messaging using smartphone whether tablet. Is a popular VoIP client used by millions of people around the world. The program boasts a extremely high stability and excellent quality. The app interface is simple and convenient. The top is a panel with three tabs: recent activity, contacts and calls. The navigation is done by swipe or by clicking on the icons in the panel. 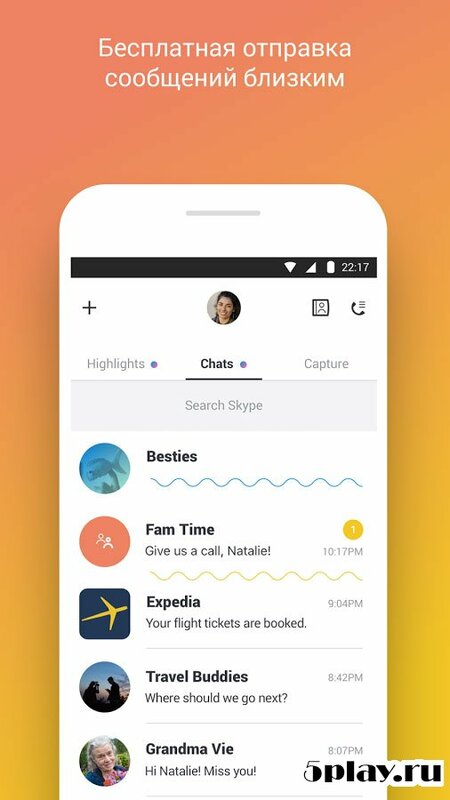 Design Skype for Android made according to the standards of Material Design, color theme and classic in blue and white tones. The sidebar is hidden and opens with a swipe from left to right or with a special button marked with three horizontal lines. In the menu you can change status and profile picture, edit personal information and go to advanced settings. Here the user can customize emoticons and moji, and to change the settings for automatic login, configure, add friends and choose the video quality for the calls. To make free calls, it is sufficient to add user to your friends in chat, and select the desired option. Do not forget about the quality of the Internet connection. 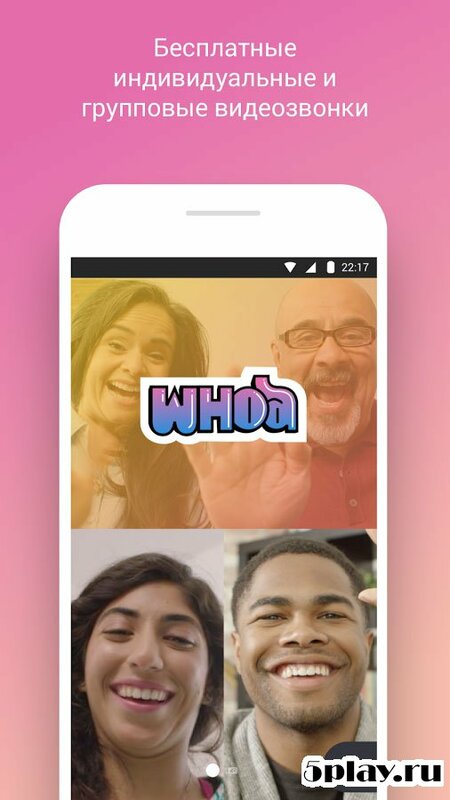 For video calls it is recommended to use high-speed wireless networks (Wi-Fi, 3G, LTE). In Skype there is a function calls to mobiles and landlines and sending SMS, but for this comfort would have to pay. Price list for paid services can be found on the official website of the company, and to Fund your account straight from the app. 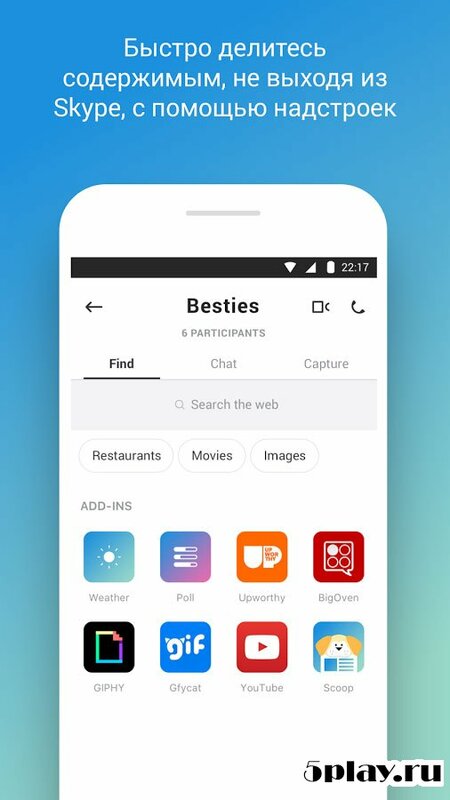 The chat app is no different from those in the other services or social networks. It is possible to send emoticons, attach files, images, videos and even location. Summing up, it should be said that Skype - excellent program for audio and video calls. Simple, clever interface will not allow the user to get lost, and broad functionality will allow you to choose the best method of communication.